Foot Hoop | How Kaycee got her Flow Back. 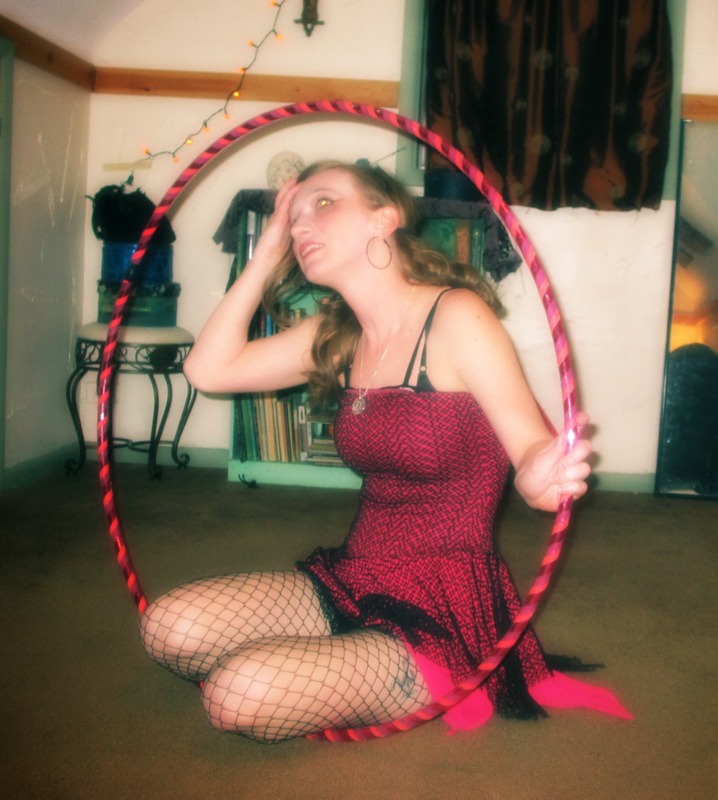 I’ve been working on hooping around my foot. What I will do is just go home, lay on the floor and see how long I can keep the hoop going around my foot before it comes crashing down into my face. It was something I started awhile ago, and thought i should refine. . because you never know when you will need to hoop something around the arch of your foot. That and there is not much room in my place to do any off body stuff. I was finally able to give my hoop “guts” over to a friend who said he would build the rest of my LED hoop. It’s nothing fancy, but the colors are pretty (pink, green, blue and ultra violet) and i myself soldered all them little LED’s on the strand myself. Go me. Hopefully he can have it finished in time for Snow Flow which is next weekend. I also am starting to bring my hoop back into work with me for 10 minute workouts during my break. This year, I wanna be hoop awesome, and I don’t just mean in my abilities, but just awesome in my hoop and life in general. I like that last be, distinguishing having awesome ability and being an awesome hooper. As great as it would be to have awesome abilities, it’d be better to be awesome, and have hooping abilities. Also good work with the foot hooping, I’ve been working on it but I haven’t figured out a good way to transition in and out of it so I tend to forget about it when I’m dancing.